am rebuilding a few rear axle assemblies. 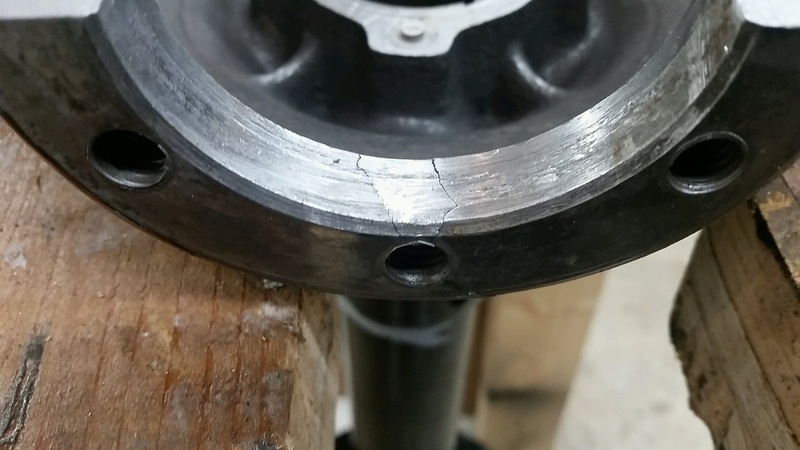 I found a little damage to the axle housings that was under my T. The images are of the torque tube mount. Most of the images are of the worse half. I am wondering what your thoughts are. 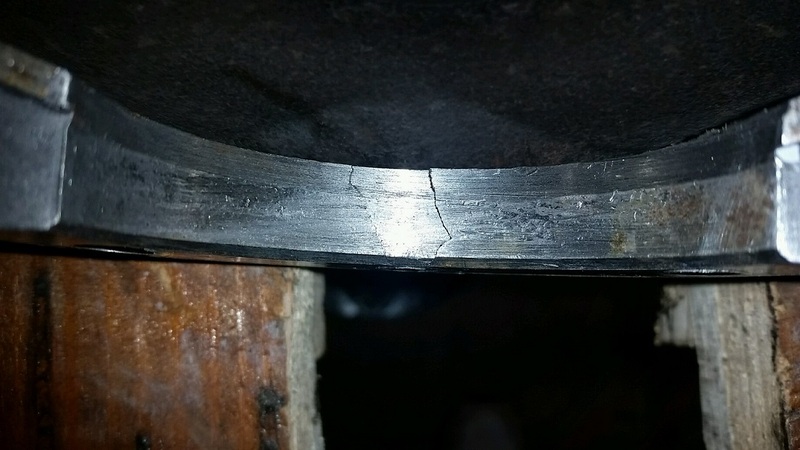 If I can find a really good welder, do you think they can braze these cracks? I do have a possible lead on some new housings. Because of where the cracks are, I think the best welding is only a temporary fix, if that! In the long run, especially if you have a lead on another housing, I'd go that way. Find better housings. Even the holes that don't have cracks look as if they're half stripped. 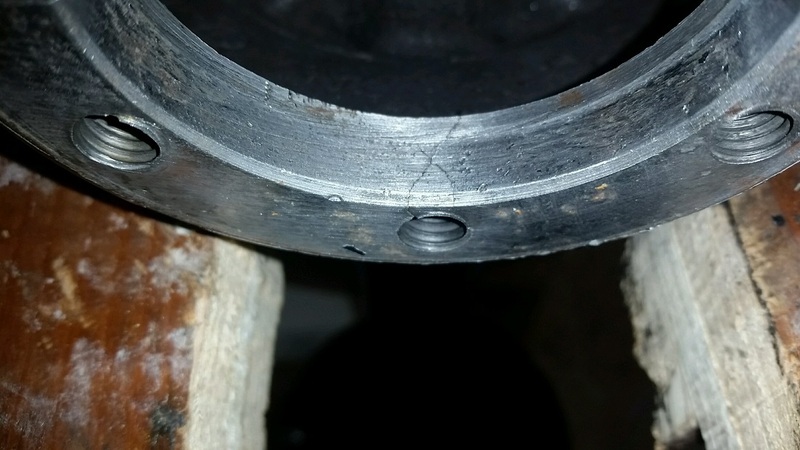 If you do weld it, you will also have to re-tap the threads, and run the others through while you are at it. I also think, find different ones. Welding, they will be warped, and you will have way more in them then different parts. There a lot of them around. These holes are not a standard thread. They can't just be retapped, you have to have the correct tap. Those pieces look like candidates for car stands. You could bevel out the cracks and braze them. Then you could retap for 3/8-16 helicoils and assemble with standard 3/8-16 bolts. Ted, that was what I was thinking, If I went that direction. Jason; I have the tap, if you do weld this up it needs to be with a rod that is machinable, no problem if you braze it. I can loan you the tap. 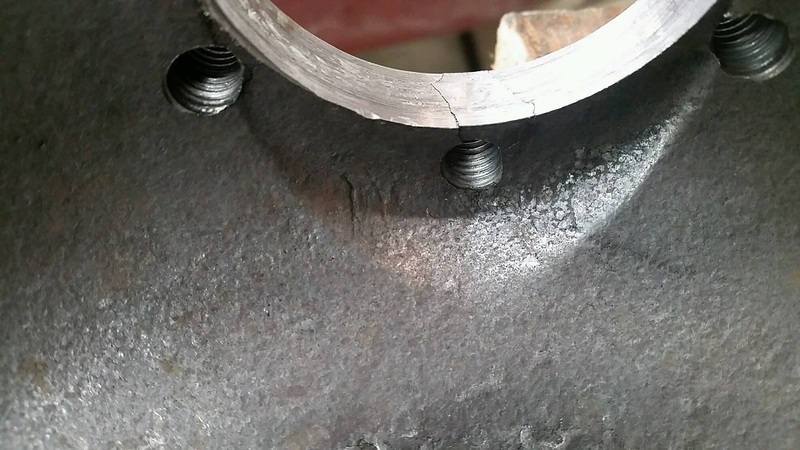 Those are tough to weld or braze because no matter how well you clean it the heat makes the cast iron weep oil that turns black and ruins the joint. Those housings are made of malleable iron, NOT regular gray iron. My thought is; If it is cracked, then is the rest of the housing distorted too? Don�t overlook that. My thought is rolling down the highway and thinking about that weld repair, and hoping it was okay.